You may remember the cute Google self-driving car. In 2014, the tech giant announced their brand-new prototype of what the future of transportation might one day look like. If you wish you could drive one today, you are out of luck. The design was unfortunately scrapped in 2017. But don't worry, what happened didn't make a dent in the plan of introducing the world to self-driving cars, I mean autonomous cars, driverless cars, automated vehicles or … robot cars? Today's cars offer a vast selection of driving aids available. Relatively few models, however, come with advanced features like self- or assisted-parking technology and systems capable of taking over steering and acceleration in different driving situations. A recent report shows that despite an optimistic surge in market penetration of these systems, the general public is still on the fence when it comes to fully relying on them. The Society of Automotive Engineers (SAE) —a large engineering professional association and standards-developing organization —released their classification of automated driving systems in 2014 with the sole objective of making things clear across the board. That didn't go well, and critics pointed out limitations in the taxonomy. One of the taxonomy's characteristics, however, is that it was designed for a technical audience. In turns out, then, that the general public was left with no other choices but to be led astray by whatever other information was made available to them. In 2016, Mercedes-Benz released an ad for their new 2017 E-Class car. What the ad focused on instead was their futuristic self-driving F 015 concept car driving around with the front and back-row passengers facing each other and using futuristic Minority Report-like displays. The ad came under attack by road safety advocates because it overstated "the capability of automated-driving functions available" of the E-Class. You may even spot the fine print: "Vehicle cannot drive itself, but has automated driving features." 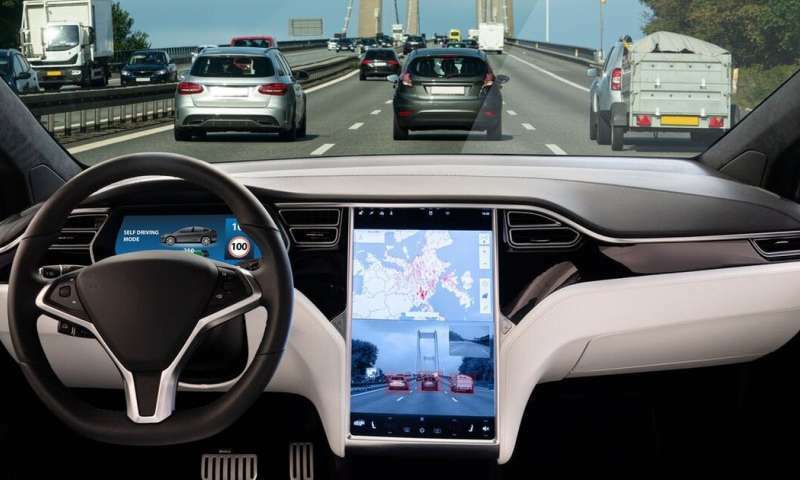 A similar controversy had Tesla at the centre of the debate in 2016, when it announced it would release self-driving capabilities over-the-air to their vehicles. Similar to what happened with Mercedes-Benz, the company was criticized for misleading advertising and "overstating the autonomy of its vehicles." You may be thinking: These are just names, ad campaigns do the same all the time , so what's the harm? Earlier this year, the American Automobile Association —a major motor clubs' federation and safety advocate in North America —released a timely report pointing out how the terminology used by manufacturers to describe their automated technology is in fact difficult for consumers to understand. While this appears to be just a problem of communication and branding, the issue can have in fact much deeper repercussions. When I buy a dishwasher, what I want is a machine that automates the manual task of washing dishes. What I need to do is just push a button and the machine will do its thing with no additional command or intervention. Now, believe it or not, a similar logic applies to automated driving systems. If I am told —or shown or suggested or hinted —that the car might in fact drive itself, what do you expect I, as a human, will do? What, you may wonder, are today's drivers left to do? A few things: First, before you drive a car equipped with autonomous or self-driving features, you might want to find more about the actual capabilities and limitations. You can ask your dealership or do some good old online research. A valuable resource for consumers is MyCarDoesWhat.org. This website, with helpful videos and links to manufacturers' websites and user guides, is valuable in presenting the dos and don'ts of automated driving systems. Finally, before using your car's automated driving features in real traffic, you may want to familiarize yourself with how they work, how to engage them, etc. Do all of this while stationary, when parked in your driveway perhaps.